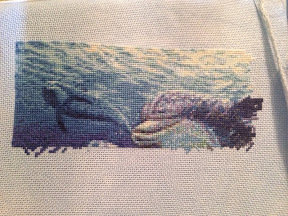 StitchyDonDesigns: Page Finish on Dolphins !! Yay congrats on completing another page, they are great. It should be exciting for you now that you will be stitching beyond your previous progress. Enjoy!